Anxiety is a simple body’s reaction to stressful, unfamiliar and dangerous situations. Normally, anxiety is actually good as it prepares us to stay alert and aware. But for some people anxiety becomes so frequent or forceful that it begins to take over their lives. If you are experiencing the same then it’s better to treat it before it leads to cardiovascular problems, digestive problems, high blood pressure and insomnia. 1 How to Tell If Anxiety Has Crossed the Line? How to Tell If Anxiety Has Crossed the Line? Usually, anxiety comes in many forms like phobia, social anxiety, or panic attacks. But in most of the cases, it is difficult to differentiate between normal and clinical anxiety. So, here we have assorted common symptoms, if any of you are experiencing any of them in your regular life then it’s time to talk to your doctor or try natural remedies to treat anxiety. Excessive Worry: Are you worrying too much even for small things continuously many times in a week. If your emotions are causing a lot of suffering and dysfunction in your regular life then it is a clear indication of chronic anxiety which needs medical intervention. Sleep Problems: Trouble falling asleep or staying asleep for a longer period of time due to specific problems or nothing in particular. Irrational Fears: Anxiety related to fears or phobia of particular thing or situation can be overwhelming and disturb mental peace. Panic Attack: A sudden feeling of fear or helplessness which lasts for few minutes to hours accompanied by racing heart, chest pain, sweating, dizziness and tingling. Obsessive Mind: If you are constantly judging yourself about making mistakes or falling short of your standards then you are probably suffering from anxiety. Compulsive Behaviors: Over thinking and over reacting to simple situations without any reason can often lead to anxiety. Adrenal Fatigue: Adrenal fatigue is one of the main reasons for anxiety. Under stressful situations, hypothalamus in our brain releases a hormone requesting our adrenals to produce cortisol. Under normal circumstances, once the stressful situation is resolved, everything goes back to normal. However, people with adrenal fatigue leads to stress that don’t stop easily. It continues for a longer period of time and even increases its intensity. Prolonged stress can directly impact your mental health and lead to symptoms like anxiety and depression. When it comes to eliminating anxiety, there is no magic pill that can stop it overnight. If you are not truly committed, then you cannot really get rid of it. The treatment of anxiety is something you should work on continuously even if you have to face tough challenges or setbacks just to bust through your anxiety disorder. 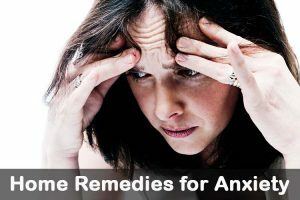 By following some natural remedies, relaxing techniques, dietary tips and supplements, you can treat anxiety naturally at home. Below we have assorted few natural remedies that help you cope with stress, fear and panic attacks. Choose any one of them as per your preference and try it regularly. The antioxidants present in ginger protect the brain from free radical damage. (3) Ginger reduces adrenal fatigue, increase resilience to stress and modulate stress hormone levels. Add 1 tablespoons of ginger (minced). Strain, add some honey for taste and consume while it is warm. Being a member of mint family, lemon balm is an amazing mild relaxant and nerve tonic. It helps to reduce anxiety and promote sleep. (4, 5) You can also combine it with green tea, catnip, lavender and other herbs for extra benefits. Cover and let the mixture steep for 10 – 15 minutes. Consume the tea before going to bed. Repeat the process daily for 2 weeks to get relief from the anxiety without medication. Note: You can also take lemon balm in supplement form. General dosage is 400mg capsules 2 times in a day. But make sure to consult your doctor for dosage as per your medical history and needs. Avoid using this process in excess as it can lead to more anxious. As per Japanese studies in 1980’s, thousand human patients were given garlic extract along with necessary vitamins for a month. Most of them found relief from anxiety symptoms. Mince 3 – 4 garlic cloves and consume it with a glass of water or juice. Apart from that, add garlic into dishes and salad dressing. As per a review published in Nov 2002 issue – “Journal of Wound, Ostomy and Continence Nursing”, honey contains immune response-enhancing properties thus making honey an effective aid to anxiety. (7, 8) Lemon is rich in potassium and vitamin C which consolidates body’s metabolism. It boosts immune system, controls blood pressure and improves digestion. Apart from that, lemon also plays a major role in recovery from adrenal fatigue as it contains high amounts of vitamin C. Most of the vitamin C in our bodies is stored in adrenal glands which is used for hormone production especially cortisol which deals directly with anxiety and stress-related issue. Combine 1 teaspoon of lemon juice, 1/2 teaspoon each of honey and ground ginger. Mix all the ingredients to make a smooth mixture. Consume the mixture 3 times in a day to deal with anxiety and insomnia. Thianine, an amino acid present in green tea helps hypothalamus to release serotonin and dopamine which deal with anxiety. It also helps to reduce stress levels and restore the adrenal glands functionality. Now, add 4 – 5 basil leaves and let it steep for 2 – 3 minutes. Consume this tea daily in the morning before breakfast to control anxiety. Note: Green tea contains caffeine which is a stimulant on the body and increase anxiety levels. Anyone who is experiencing adrenal fatigue syndrome in moderate to chronic stages should avoid taking anti-anxiety herbs. As per a study published in Journal of Clinical Psychopharmacology, chamomile has reduced anxiety symptoms in patients suffering from generalized anxiety disorder. (10, 11) Its mild sedative effect promotes relaxation and drowsiness. Apigenin and luteolin are two chemicals present in chamomile that promote relaxation. Into a cup of hot water, add 2 – 3 teaspoons of dried chamomile. Cover and let it steep for 3 – 5 minutes. Strain and stir in some honey for taste. Repeat the process few times in a day for at least a month to observe improvement. Note: Alternatively, you can take chamomile in supplement form. Consult doctor for proper dosage as per your medical history. Into a cup of hot water, add 2 teaspoons of dried rosemary. Cover and let it steep for about 10 minutes. Strain, stir in some honey and consume it. Repeat regularly to achieve satisfied results. Note: Apart from above method, add few drops of lavender essential oil to the diffuser and smell the aroma to relax your mind. Many researchers have proven that nuts and seeds boost brain power and enhance the moods. Different kinds of nuts and seeds contain an important amino acid called tryptophan which is converted into serotonin by our brain. Nuts contain vitamin E, vitamin B6, alpha-linoleic and omega fatty acids. Nuts beneficial for mental health include walnuts, hazel nuts, almonds and others. Seeds beneficial for mental health are dry sunflower seeds, pumpkin seeds and flax seeds. Let it cool down to room temperature and consume it. Note: You can add few drops of fennel oil on a tissue and inhale the smell. It helps to soothe and relax the mind. Though baking soda contains sodium, it doesn’t increase blood pressure which leads to deal with anxiety. Into your bathtub filled with lukewarm water, add 1/3 cup each of baking soda and grated ginger. Relax in the bathwater for 15 minutes. Once relaxed, have a nice shower. Repeat the consumption daily for a few days or weeks till anxiety attacks reduce. Note: Inhaling the smell of orange peel also helps to lift the mood. This is one of the Ayurvedic remedy to deal with anxiety and depression. It is loaded with all the properties which also fight with depression. Crush 3 – 4 cardamom seeds into fine powder. Add the powder into glass of water and mix well. Drink the concoction once in a day to get relief from severe anxiety and panic attack. Essential oils that are effective for treating anxiety include lavender oil, rose, vetiver, ylang ylang, bergamot, chamomile, frankincense, and others. You can use them as topical application, oral consumption or aromatherapy. Combine 3 drops of lavender oil and 1 teaspoon fractioned coconut oil or almond oil. Rub onto your neck or onto bottom of feet for few minutes. The perfect time to follow this method is before going to bed. Celery contains large amount of folic and potassium. It helps to treat anxiety and depression. The celery consumption prevents you from becoming nervous. Wash celery and chop them into small chunks. Eat 2 cups of celery leaves. Consume 2 times in a day for a week to get rid of anxiety and angry. Nutmeg is an aromatic spice which promotes relaxation, fights depression and works as relaxant. It is one of the best Ayurvedic treatment for treating anxiety and stress. Apart from that, it also works effectively in improving sleep quality. Inhale the aroma of nutmeg powder or add 1/4 teaspoon of its powder in food. Valerian helps to reduce anxiety by making you tired. Take one capsule in the evening as you are preparing for bed. Combine valerian with chamomile or lemon balm for added results. Passion flower is a sedative herb which helps nervous restlessness and anxiety. It contains beta-carboline harmala alkaloids which elevates happiness-promoting chemicals. Take 45 drops of passion flower extract or a 90 mg tablet daily. Do not consume more than a month. Do not take sedative herbs while pregnant. As per Ayurveda, basil is one of the ancient traditional methods to treat anxiety. It is an antiadaptogen herb which contains anti-stress agents which widely promote health throughout the entire body. Munch on few basil leaves or drink basil tea once or twice in a day. Food cravings are one of the reasons for depression, anxiety and stress. As the food we eat have substantial impact on mood. These carvings can encourage to eat food rich in sugar, carbs and fat. However, instead of them you can munch on foods that can make you happy and enhance mood. One of the best ways to boost mood through diet is to consume food that support neurotransmitter’s production. These foods support neurotransmitters which are brain messengers that control mood, energy levels, appetite and several other functions. Foods like kale, collards, spinach, wild caught fish, banana and organic meat are beneficial for boosting neurotransmitter production. Deficiency in magnesium, zinc and B12 are linked to the anxiety symptoms. Especially vegetarians and vegans are more particular in developing B12 deficiency as it is only found in animal products. Vitamin B12 supports neurological system and promotes good mood hormones. B-vitamins help to produce serotonin which helps to promote good mental health and beat food cravings. Foods rich in vitamin B are raw dairy, raw cheese, salmon, organic poultry, spinach, sunflower, seeds and dried herbs. A systemic review published in 2004 conducted on omega-3s and anxiety showed that low intake of omega fatty acids can greatly related to depressed mood. Omega fatty acids reduce inflammation and improve brain functionality. Foods rich in omega fatty acids are salmon, wild caught fish and others. Eat 2.5 milligrams of omega 3 fatty acids daily for 12 weeks. Foods rich in omega 3s include oily, cold water fish, salmon, anchovies, sardines, and mussels. Eat whole grain foods, seaweed, blueberries, green leafy vegetables, acai berries, maca root, chocolate, walnuts, and almonds. Consume eggs as a breakfast because they have proteins and natural source of choline (the deficiency of choline causes the anxiety). Drink plenty of water to stay hydrated. It also helps to flush out toxins from the body which supports hormonal balance. Many studies have stated that unhappy gut directly impacts the state of the mind. So, it is recommended to consume healthy, light to digest and nutritious foods rather than junk, processed, and fried foods. Probiotics also play a major role in improving gut health. Probiotics flourish the gut with healthy bacteria which control the bad bacteria from thriving. And avoid staying hungry for a longer period of time as it drops blood sugar which can lead to anxiety attacks. Serotonin is a chemical produced by our brain to regulate the stress levels. Whole grains contain magnesium and tryptophan which is converted into serotonin by our body. Oats also contain serotonin production which helps to prevent the blood sugar spike which directly impacts our mood. Peaches and blueberries relieve stress and provide a calming effect. Cortisol is a stress hormone which directly impacts our mood and anxiety. Foods that help to lower cortisol levels are oranges, omega-fatty acids, magnesium foods and dark leafy vegetables. Dark chocolate also helps to lower cortisol levels. Avoid fried foods, high glycemic carbs, alcohol, unrefined sugars, and coffee as they increase anxiety. These foods can have significant improvements in blood sugar, PMS, and mental health. Few yoga postures that help treat anxiety are tree pose, Virabhadrasana III, sirsana, Viparita karani, marjaryasana, uttana shishosana, and balasana. Deep breathing helps to turn down the sympathetic nervous system and initiates body’s natural relaxation response through the activation of the parasympathetic nervous system. As per Chinese Medicine, acupuncture has been one of the trusted solutions for many ailments including anxiety. It helps to relieve stress, headaches, panic attacks, sleep troubles and poor circulation. Physical settings also help to play an important role in reducing stress and promote relaxation. (26). Try to walk outdoors, run outside, spend time at the ocean, a garden at home, walk through forests or spend time with loved ones. Walking in the sun is the best way as it naturally increases vitamin D levels which help to decrease anxiety. Take a short 15-minute break to reduce stress levels and the greener the better. As per a Japanese study, people who walked in a forest for 20 minutes has a significant decrease in stress hormone levels. If you are stuck in an urban area, look out for parks and quiet place to take a walk. If you’re stuck at home, check out top anxiety blogs and read through their content to help you ease your mind. Exercising regularly floods feel-good endorphins into the body. Some researchers also believe that increased body heat due to exercising alters neural circuits that control mood. Researchers believe that this response may increase relaxation, enhance mood and alleviate anxiety. GABA is an amino acid which helps to decrease anxiety in the nervous system. It also helps to relax muscles. The recommended dosage is 500mg 3 times in a day. L-lysine, an amino acid is one of the building blocks of neurotransmitters. Many studies have proven that people who took L-lysine supplements reduced anxiety symptoms and stress levels. L-lysine is commonly found in beans, fish, meat and also an oral supplement. As ashwagandha is an adaptogenic herb, it helps to reduce the stress effects on the body and improve anxiety symptoms. Consumption of kava helps to provide relief from panic attacks and reduce anxiety. If you are taking this supplement then consumption of alcohol should be avoided. And make sure to consult your doctor if you are taking any medications. Recommended Dosage is 200 – 250mg 3 times in a day. This supplement increases serotonin which is neurotransmitter that helps to reduce stress, anxiety and depression. Avoid taking this supplement if you are already on antidepressant or anti-anxiety medications. Recommended Dosage is 50 – 100mg 2 times in a day. Both magnesium and calcium helps to relax the muscles and calm the nervous system. For some people magnesium consumption can cause diarrhea so be careful while taking it. Recommended magnesium dosage is 250mg 2 times in a day. Recommended calcium dosage is 500mg per day. Have you tried any of these methods? 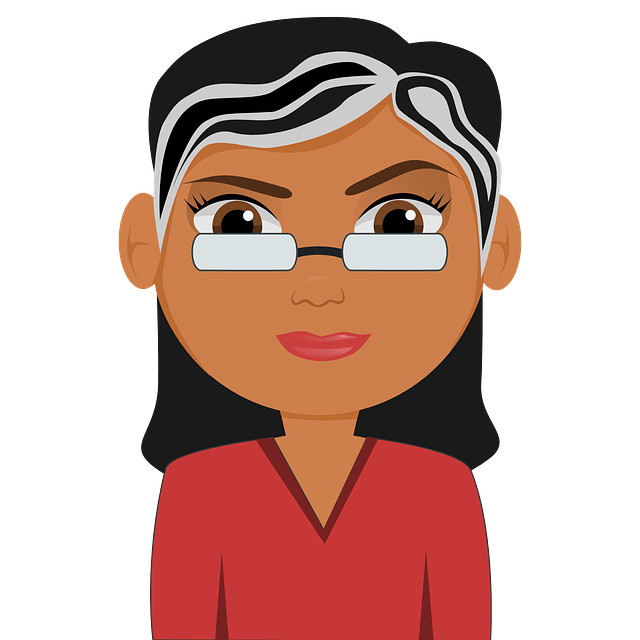 Do you have any anxiety blogs you religiously follow and want to share with us? Don’t forget to share your experience with us. If you have any concerns or suggestions, write to us in the comment section below. Do repercussions/after affects of a mild concussion cause anxiety while driving? In some people, yes it can cause anxiety. You can either drink the mixture (lemon juice, ginger powder and honey) directly or consume by adding it to the water. Yes, you can. Omega-3 fatty acids from fish oil enhance calcium absorption. Researchers at Massey University in New Zealand found that fish oil increases calcium absorption, bone calcium content and bone mineral density. Can mixed ginger, garlic, lemon and honey help in reducing my anxiety?.